Narration point of view: are you doing it right? One of the questions I get more often is about point of view. Who is narrating your story? First person point of view (POV): the narration proceeds in the first person. This type of narration is very emotional, allowing the reader to easily identify with the narrator and live the story as if it were happening to them. Keep in mind that the narrator knows only what their character knows. For example, if Leda is my first person narrator, she does not know what Nico the Thug thinks, she does not know what’s happening at home if she’s at school, and she cannot see herself. She would never say “I blushed madly” at best she would feel her cheeks get warm. All my books have a first person POV, past tense. Second person POV: is rare. Sometimes the writer will address the reader by switching to a second person POV. Third person objective narration: the narration proceeds in the third person, but the narrator is not a character; the narrator just describes what’s happening in your story as it happens. Third person narration omniscient: The narrator knows everything, what characters feel and think, what’s happening far away, what happened in the past and what will happen in the future. Third person narration limited: The narration proceeds in the third person, but the narrator is privy to the thought and feelings of a specific character. 1-Choose a POV and be consistent! 2-Keep in mind that if your narrator is an eleven year old boy the language, feelings, and emotions of the narration will have to be crafted accordingly. 3-In 1st person remember that the narrator only knows their own thoughts/experiences and sees with their own eyes. A device for a 1st person narrator to describe themselves is to have them look in a mirror, chat with someone about it or consider someone else’s opinion. My advice: If you’re going for an emotional story choose first person. If your plot is an intricate political intrigue go for 3rd omniscient so that you can reveal details as you need them. 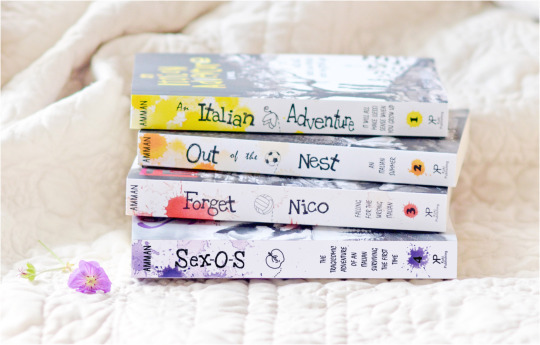 I think present tense is more emotional, but if you’re writing about kids, like I did for An Italian Adventure, you might want to use past tense so that you don’t have to necessarily write a middle grade type of book. I am the author of the Italian Saga, a YA/NA series taking place in Italy. I am also a part time ninja and comic addict. I play video games. I read a lot. I teach science in college. I sing under the shower. Oh, and I love with all my heart. My books (below) are available as audio, ebooks, and paperback. Check them out here. 24/50 reviews on Amazon! Getting there!!! 4.7 stars average: love you guys <3 Read the book? Help me get to the magic 50! Write your review here! 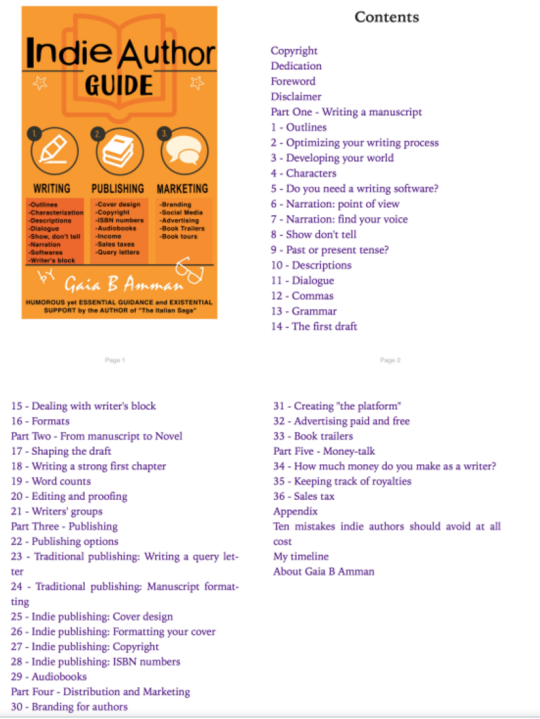 Get the Indie Author Guide!